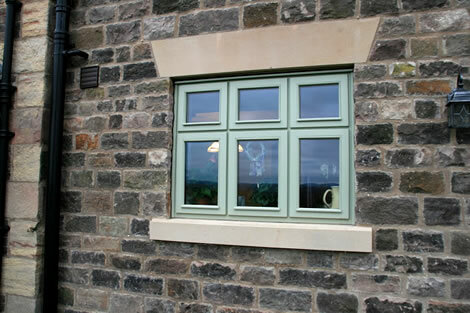 Argon filled double glazing is a great step forward in the prevention of heal loss through windows. There have been many misconceptions about double glazing over the years, but in its simplest form it is just two panes of glass with a sealed air gap between, the air inside is standard atmosphere from within the factory where they are made. The glass is kept apart by a spacer bar that runs all around the edge of the unit and it is sealed with a rubboid mastic. The spacer bar is perforated along it’s inside edge and is filled with a material called desiccant, which absorbs any moisture from within the air of the unit and traps it there for the life of the unit. Silica gel crystals seen in the boxes of new electrical goods and binocular cases are very similar. If the unit seal ever fails the desiccant crystals will absorb moisture from outside the unit until it is saturated, then the heat and sunlight turn any excess moisture into vapour. When it then cools it re-condenses and steams up the unit. In recent years gaps between the glass have increased, as the further you keep cold air away from warm air the better. With Argon filled double glazing, the air within the unit can now be changed for Argon gas, this gas allows the transfer of heat across the cavity far less than air.